The name Nizamabad is derived from Nizam meaning Nizam of Hyderabad and abad means Long Live in Urdu. Sometimes the place is also referred as The City of Nizams. Nizamabad was founded in the year 1905 when Nizam's Dominion were recognized, where up to it was known as Indur. The Nizam of Hyderabad ruled over the Deccan region during the 18th century. Nizamabad was a part of princely State of Hyderabad in 1724 and continued to be part of the Nizam's dominions until 1948. After India gained independence in 1947, the Indian Armed Forces annexed Hyderabad and ended the rule of the Nizam in Operation Polo. It was during 1876 Nizamabad became a separate district when the districts in Hyderabad State were reorganized by Salar Jung-I, the then prime minister. In 1905 the railway line between Secunderabad and Manmad was laid. The city was named after Nizam ul Mulk, the fourth Nizam of Hyderabad state. And during the reign of last Nizam, Nizam Sagar dam was constructed in 1923 across the Manjira River at the village of Achampet which irrigates 250,000 acres (1,000 km2; 390 sq mi) of land in Nizamabad District. Nizamabad is located at 18°41′N 78°6′E. The city is bounded on the North by Nirmal, on the East by Jagtial and Karimnagar, on the South lies Kamareddy, and on the West it shares its boundaries with Nanded of Maharashtra State. 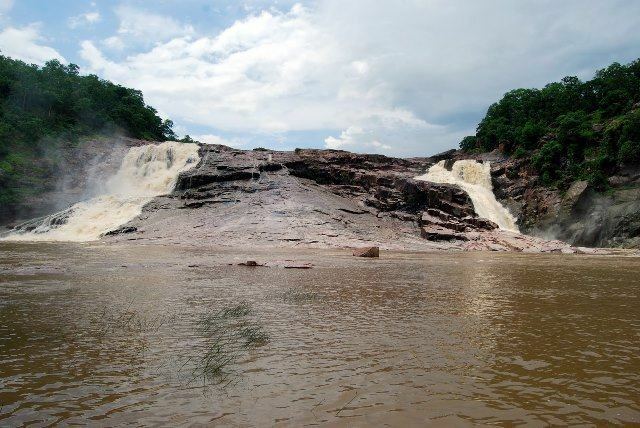 The geographical area of the city is 67 square kilometres (26 sq mi) of which 43 square kilometres (17 sq mi) is under Nizamabad Municipal Corporation (Nizamabad Urban) and rest of the outgrowth falls under Nizamabad Rural. The Gandhi Chowk suburb is the assumed city center and a major commercial zone of the city. The city is administrated into 3 zones, namely Nizamabad North, Nizamabad South and Nizamabad Rural Division. As the city is situated at a considerable distance from the coast, the climate is tropical savanna with most rainfall from June to October.In winter there is less rainfall than in summer. In the month of May 2015, Nizamabad recorded 46.1 °C (115.0 °F) which was highest recorded temperature in Telangana during this summer. The temperature goes as low as 5 °C (41 °F) while the average is 18 °C (64 °F) during winter, while in summer the temperature rises as high as 47 °C (117 °F) and the average is 46 °C (115 °F). Average annual temperature is 27 °C (81 °F).The average annual rainfall is 1108 mm. As of the 2011 India census, Nizamabad had a population of 311,152. Males constituted 51 percent of the population, and females constituted 49 percent. Nizamabad has an average literacy rate of 80.31 percent, higher than the national average of 74.04 percent; male literacy is 86.82 percent and female literacy is 73.83 percent. In Nizamabad, 13 percent of the population is under six years of age. For providing facilities to the people the Government of Telangana started MeeSeva (At your service) centres all around the city and the state. The main purpose of this facility was to bring public services closer to home. MeeSeva provides online signed digital certificates like Income Certificates, Residence Certificates, Land Records and other Registration Records. These records are further stored online for database. Nizamabad along with Hyderabad are the only districts in the Telangana state which have their own Regional Passport Offices (Passport Seva Kendras), these offices carter the need of Adilabad, Karimnagar, Medak, Warangal, Rangareddy, Khammam, Mahbubnagar and Nalgonda of Telangana state. The Nizamabad Police Commissionerate is the local law enforcement agency for the city and is headed by the Commissioner of Police. The city police traces its origins to 1847 under Hyderabad State. The city is under strict vigilance by the commissionerate as there are 72 CCTV cameras installed at various traffic junctions and the infrastructure includes Interceptor Vehicles, Online Presence and a large fleet of Mahindra Bolero SUVs. Apart from Crime branch, the police also has Traffic branch, SHE teams, Blue Colts and Mobile patrolling fleet. Being the third largest city in the state, Nizamabad is known for its medical care in northern Telangana region. Government General Hospital is one of the largest government hospital in the state, also serving patients from the cities and neighbouring districts of Nanded and Adilabad. Khaleelwadi, also known as Doctor's Lane, is a densely hospital clustered area comprising more than 200 major private hospitals and many laboratories. Considering the better infrastructure and resources available, Government Medical College was established in 2012. There are speciality hospitals for maternity care, chest hospitals, Meghna Hospital for Dental care, Indur Cancer Hospital. Apart from these multi-speciality hospitals in the city, Pragati Hospital is one of the only hospitals among the neighbouring districts which has recently established a heart transplantation wing. The Telangana State Road Transport Corporation operates buses to various destinations from Nizamabad bus station of the city. The city has 2 bus depots for storage and maintenance of buses. The city is well connected to the major destinations through various national and state highways. National Highway 44 bypasses the city, which is a major national highway connecting north and south India. The 460 km (290 mi) long National Highway 63, originates at Nizamabad and connects Jagadalpur of Chhattisgarh. The city corporation maintains roads of a total length of 772 km (480 mi), including of 387 km (240 mi) of surfaced and 385 km (239 mi) of unsurfaced roads. Nizamabad Junction is administered under Hyderabad railway division of South Central Railway zone and is the convergence station for Nizamabad-Peddapalli section and Jankampet-Bodhan Line with Kacheguda-Manmad section. This Nizamabad-Peddapalli section connects Nizamabad with the Grand Trunk route of New Delhi-Chennai main line and the distance from Nizamabad to Karimnagar and Warangal reduced to a large extent. The economy of the city is largely based on industries and private businesses which are both under government and public sector. For most families the main source of income is either government jobs or family citizens working in Gulf countries. After the bifurcation of Andhra Pradesh and Telangana, with an initiative to develop the backward districts the state government has set up industrial parks in rural areas such as Sarangpur and Nehru Nagar. Some of major industries include Nizam Sugar Factory which was the biggest sugar factory in Asia during the reign of Nizams, and major Spice Park. As Nizamabad is the largest producer of rice in the state there are many of Rice mills situated across the district and mostly in Khanapur region. Real estate in Nizamabad is booming since recent years with large number of high rise apartments and commercial complexes as high as 10 floors are under construction. There had also been a large overgrowth around the city for some years. Nizamabad's culture enriched under the patronage of Nizams.The city has a diverse culture with major proportion of city population being Hindus and Muslims and this mixing of religions has also resulted in many festivals being celebrated in Nizamabad such as Ganesh Chaturthi and Diwali of Hindu tradition and Eid ul-Fitr and Eid al-Adha by Muslims.Telugu and Urdu are major languages spoken by the city people, however English is also widely used for communication purpose. Even though the city has different religious communities, the people of Nizamabad are known for their harmony, cultural amalgamation and religious unity . Nizamabadi cuisine mainly comprises rice, wheat and meat dishes. South Indian cuisine which include Dosa, Vada, Puri and Idly are common breakfast items. Hyderabadi biriyani with its blend of Mughlai and Arab influences and Tahari are other dishes. The traditional food items like Harees and Haleem are common foods during Ramadan. 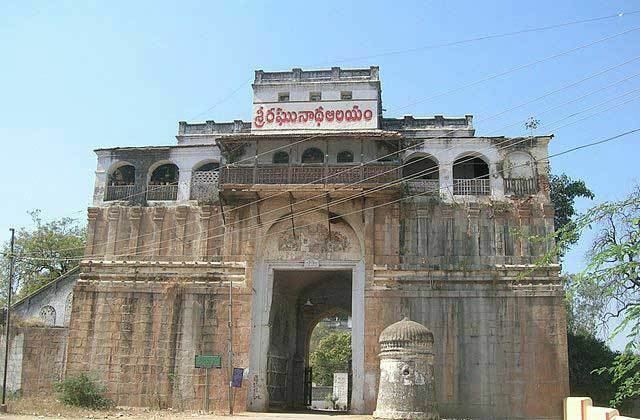 Nizamabad Fort is situated on the southwest of the city which was built by Rashtrakuta Kings in around the 10th century, the fort was captured by Asaf Jahis who were the Nizams of Hyderabad, who then rebuilt the fort. Archaeological and Heritage Museum was opened in October 2001 and is situated in the Tilak Garden premises which is opened seasonally. The Museum houses various artifacts and antiquities representing the evolution of human civilization from Paleolithic to Vijayanagara Empire(i.e. 16th. A.D). The Museum is divided into three sections, namely Archaeological Section, Sculptural gallery and Bronze and Decorative gallery. Bidri articles and arms and weapons of extensive variety are also exhibited. 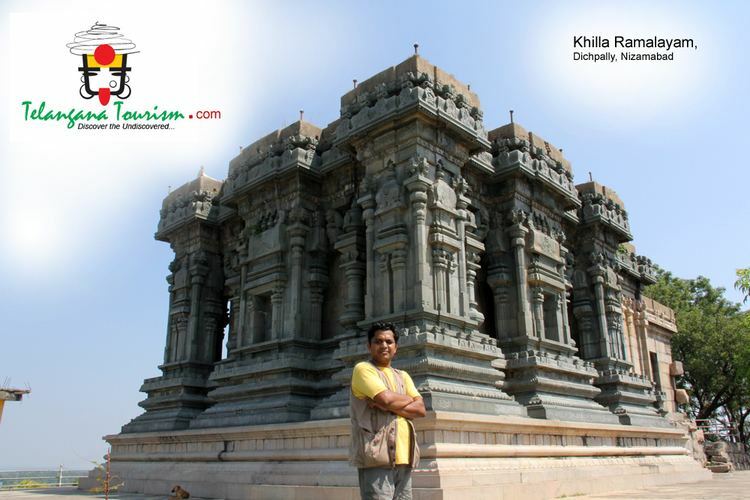 Alisagar is a park and tourist attraction which is 13 km from Nizamabad and 2 km (1.2 mi) off the Nizamabad-Bodhan road. The garden is spread across a large 33 acres of area, it has a deer park, trekking and water sports facility. It also has a hilltop guest house built by Nizam and is under renovation as of 2015. Ashok Sagar is a lake, park and tourist attraction situated in Jankampet area, 07 km from centre of the city. It has a beautiful rock garden with illuminated rocks and has excellent boating facilities.Badapahad dargah is one of the oldest Muslim pilgrim centres, built in the memory of Hazrat Syed Hussaini, built on top of a hillock, located at a distance of 38 km from the city. Nizamabad is a major education centre in Telangana. 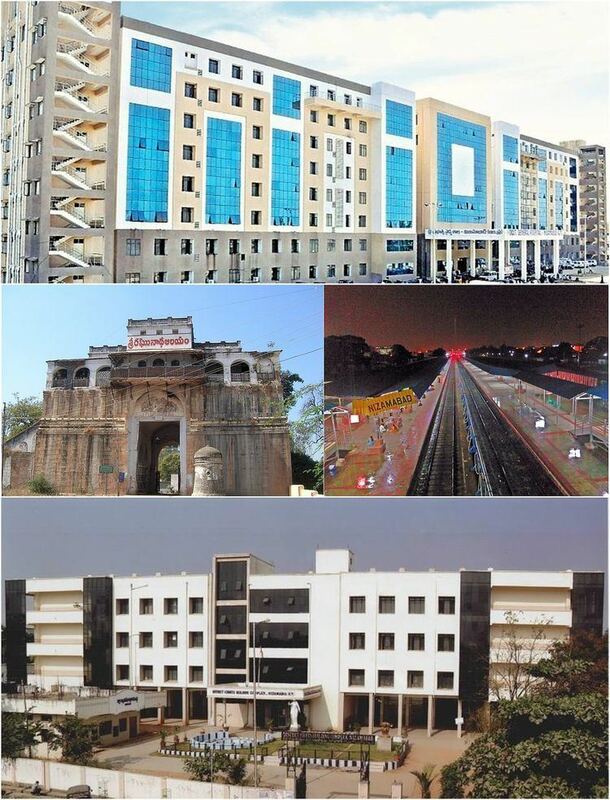 The city is the home to 10 Engineering colleges, Vijay Rural Engineering College, Nizamabad (VREC), affiliated to Jawaharlal Nehru Technological University, Hyderabad (JNTUH) is the reputed institution located in city. Kakatiya Institutions of Nizamabad is a group of well known schools & colleges in state of Telangana and the erstwhile Andhra Pradesh, as they have been constantly fetching state top ranks. Some other major educational institutions for higher education are Arkay College of Engineering and Technology, Kshatriya College of Engineering, Kakatiya Engineering College for Women, Ganga Pharmacy college, Government Medical College, Nishitha Degree College, etc. Many students from neighbouring districts of Nanded, Adilabad and Karimnagar take up admissions here for their higher education. Also 15 Model schools were established in the year 2013 by central government in EBBs, to uplift the education system & provide free education in English medium. Telangana University is a public university under the Government of Telangana, located at Dichpally, 15 km from the city. Telangana University alone has 149 college affiliations of which 86 colleges are in Nizamabad and 63 colleges in Adilabad district. The university has also signed a memorandum of understanding (MoU) with Chicago State University of United States for exchange of students and teachers. The MoU was signed by the officials of the two universities in the presence of Chief Minister K.Chandrasekhar Rao. Malavath Purna is a student from Nizamabad who became the youngest girl ever to climb Mount Everest when she reached the peak on 25 May 2014, aged 13. She was accompanied by Sadanapalli Anand, a 17-year-old student from Khammam. Nikhat Zareen is an Indian boxer who won gold medals at international boxing tournaments. Nithiin (known as Nitin Reddy) is an Indian film actor known for his works predominantly in Telugu cinema.